Escape to the countryside and stay in an idyllic countryside location set on 200 acres of parkland. 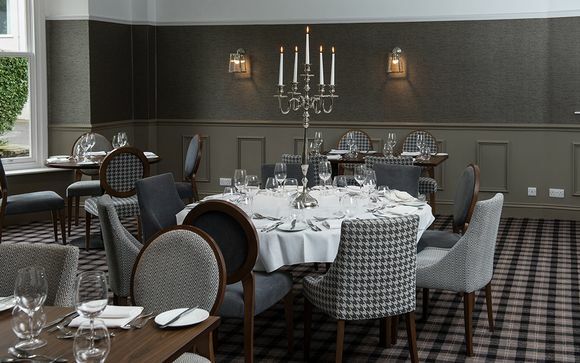 Welcome to the inviting Cedar Court Hotel, a slice of elegance in the countryside of Harrogate and ideally located to visit surrounding attractions. Enjoy a complimentary evening meal in the gourmet restaurant of the Cedar Court Hotel and toast a complimentary glass of prosecco to a relaxing stay. Embark on a fabulous countryside getaway to the Cedar Court Hotel. 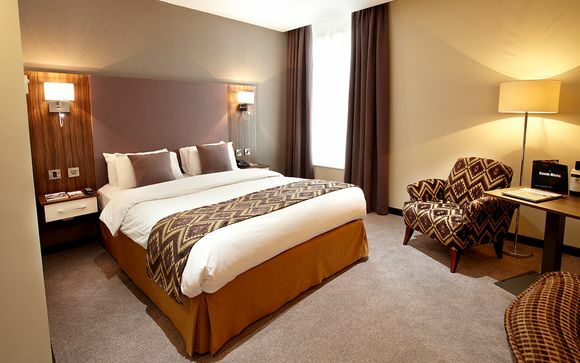 Located in the delightful town of Harrogate, The Cedar Court Hotel is only a short journey from the surrounding towns and cities such as Leeds. Merely a 10-minute walk from Harrogate Railway Station and town centre, it is ideally located for a relaxing weekend immersed in nature while still being close to the town for any shops, restaurants, or cafes you may need. 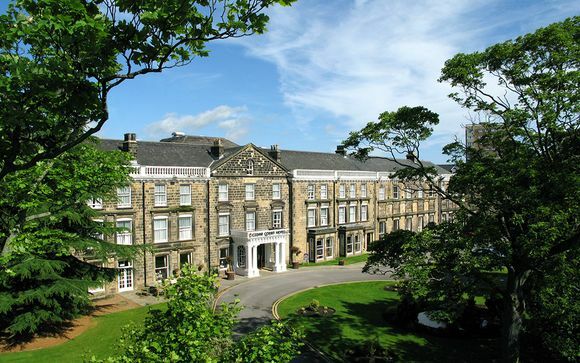 The Cedar Court Hotel is perfectly placed for visiting the historic cities of York, Ripon and the picturesque market towns of Knaresborough, Pateley Bridge & Masham and is only a short drive are the finery of Fountains Abbey, the Royal Armouries and Lightwater Valley Amusement Park. With easy access to 10 superb golf courses, world class cricket in Leeds and race meetings at Wetherby, York, Thrisk and Ripon, the region is an oasis for sports enthusiasts. Lightwater Valley Theme Park - Located just 16 miles from the Best Western Cedar Court Hotel, this theme park offers more that 40 rides and attractions for the whole family. Fountains Abbey & Studley Royal - Located just 15 miles from the Best Western Cedar Court Hotel, Fountains Abbey & Studley Royal is a World Heritage Site. A huge estate of beauty, contrasts and surprises including the largest abbey ruins in the country and one of England’s most spectacular Georgian water gardens. The Royal Baths, Harlow Carr Gardens and Betty’s Tea Rooms are all within 10 minutes’ drive of the building. Overlooking the famous 200 acre Stray parkland, this historic grade II listed building dates back to 1671 and has been carefully restored to the grandeur of yesteryear. Many of the original features remain, yet the Cedar Court Hotel 4* has been tastefully restored with a stylish mix co-coordinating both the traditional and contemporary. 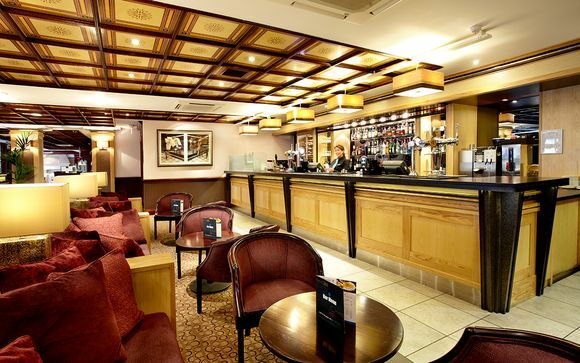 The Cedar Court Hotel offers up to date facilities, an exceptional standard of food and friendly and efficient service. Our members will stay in a Standard Room. This double room features a TV, tea and coffee making facilities, and a well-equipped en-suite bathroom with complimentary toiletries. The Cedar Court Harrogate welcomes everyone, no matter what your preferred dining experience will be. From simply relaxing with friends over afternoon tea to the full fine dining experience in the Brassiere, the aim is to make your time at the hotel as enjoyable and as tasty as possible. The restaurant uses fresh, local produce and ensures that all their dishes are of the highest standard.